The issue of 'practising homosexuals' being ordained as ministers of religion is currently a matter of intense debate within Christian churches worldwide. In South Australia the Presbyterian church declared support for the de-criminalisation of homosexuality as early as 1970, followed by the Methodist church in 1972. During the 1980s the Uniting Church of Australia commissioned various committees and reports around the issue. 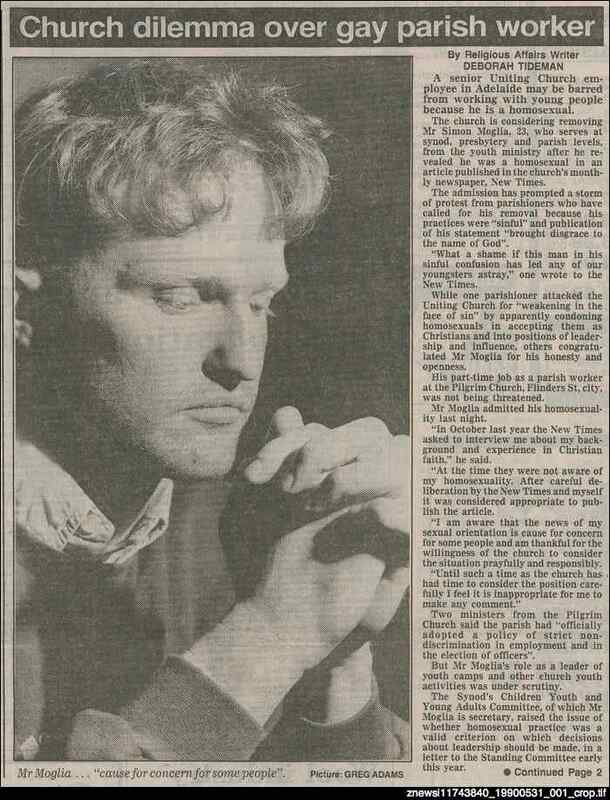 In 1990 an Adelaide church youth worker openly stated that he was gay, and a year later applied to be accepted to train for full-time ministry. This caused much debate, and his application was deferred. The Uniting Church has not subsequently come to a firm decision on the issue.